The creative team that brought you The Lenten Sketches and Covenant of Grace now present a work filled with intensity and passion. In this work the silent witnesses to the last days of Christ speak in 5 soliloquies that testify to the timeless message of grace. These monologues are followed by beautiful musical moments that present new anthems as well as traditional Lenten hymns. This work, designed primarily for Holy Week performance incorporates simple symbols, (Palms, Chalice, Robe, Crown of Thorns and Cross) to be presented as the work unfolds. 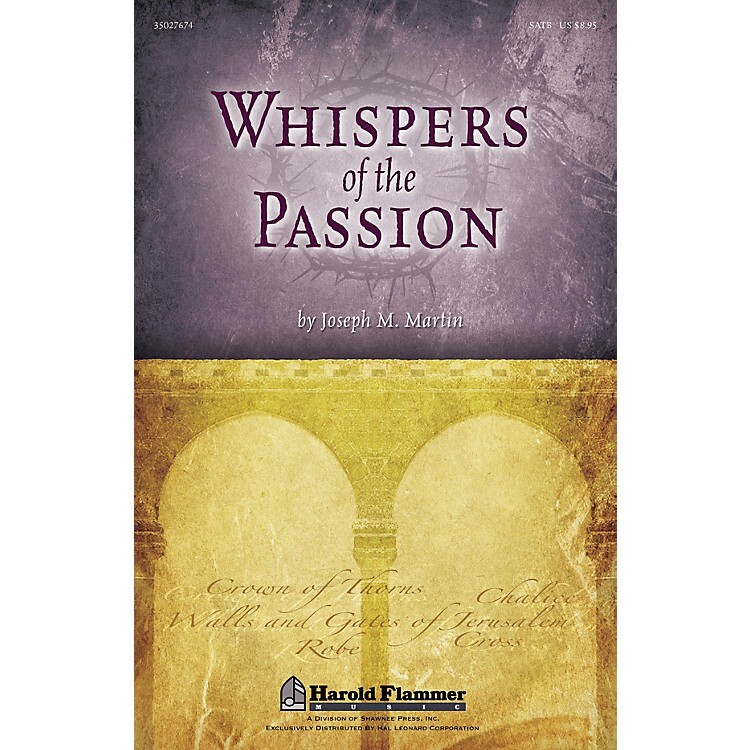 Whispers of the Passion is supported by a complete line of products that will add a variety of options for churches of any size. With a 30-35 minute performance time, this flexible work can be integrated into a regular service or can even be done progressively over the weeks leading up to Good Friday. Reflect upon the gift of grace and the price of redemption as you experience the emotion of this inspired cantata.